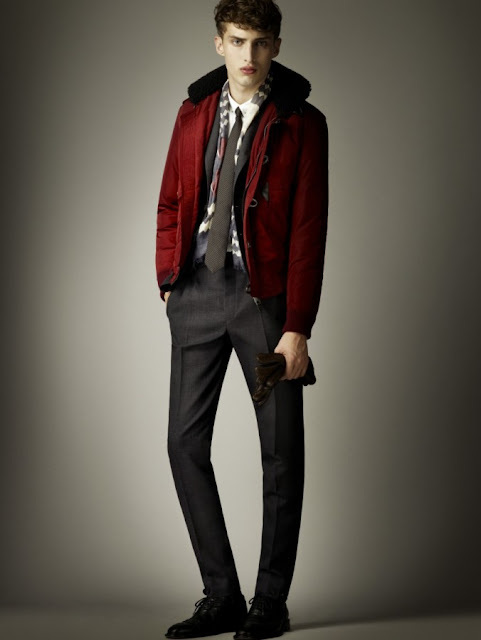 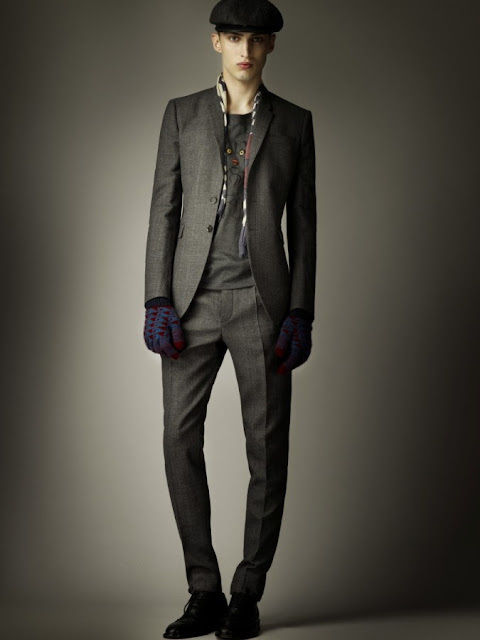 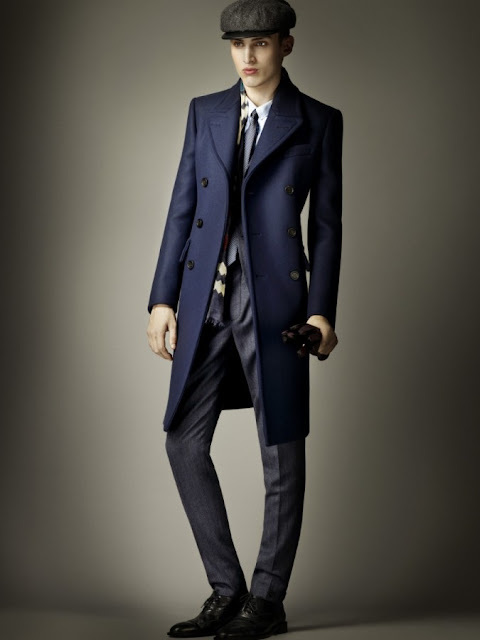 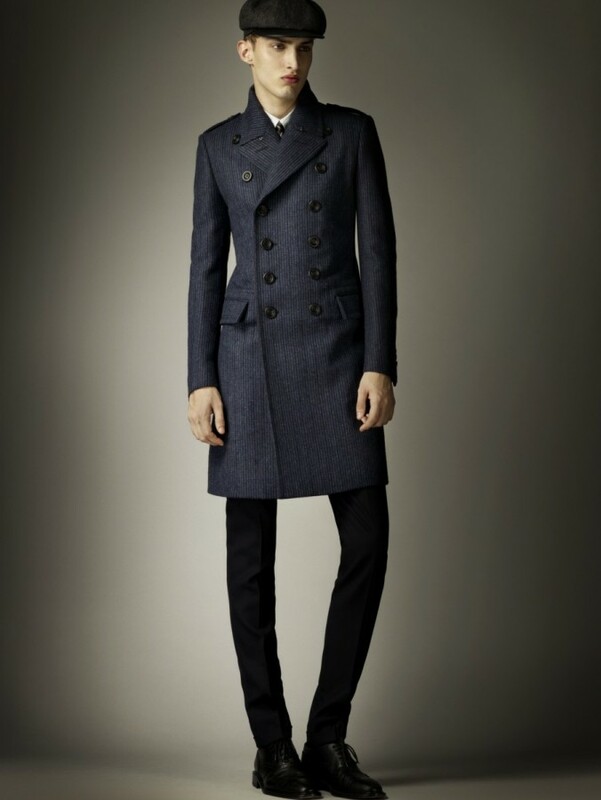 Burberry Prorsum unveiled its Autumn/Winter 2012 Pre-Collection on 8 December 2011. The range of garments and accessories features the brand’s typically strong outerwear in a colour palette that includes sapphire, charcoal greys, chestnut, and sage green hues. 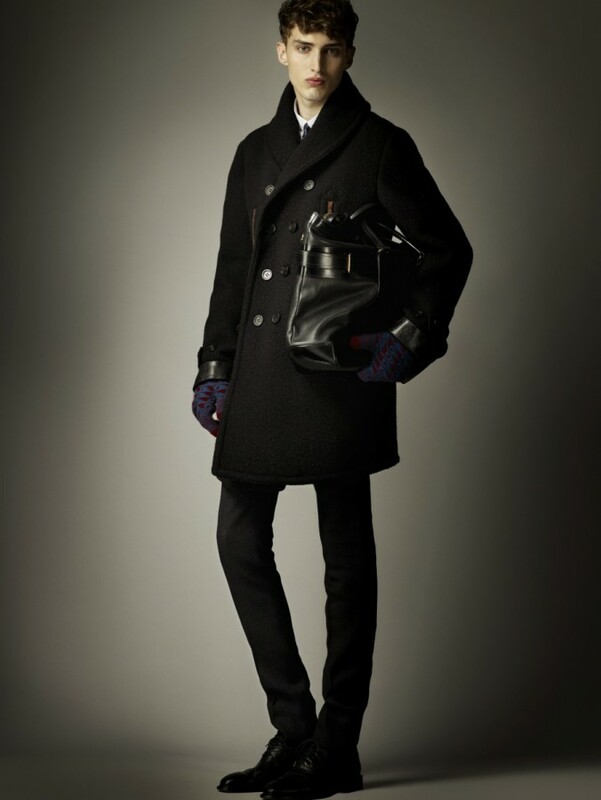 As featured in the Autumn/Winter 2011 collections for both men and women, the inspiration from the 1960s and military attire is ubiquitous in the tailored overcoats, blousons, pea coasts, trench coats, oversized flat caps. 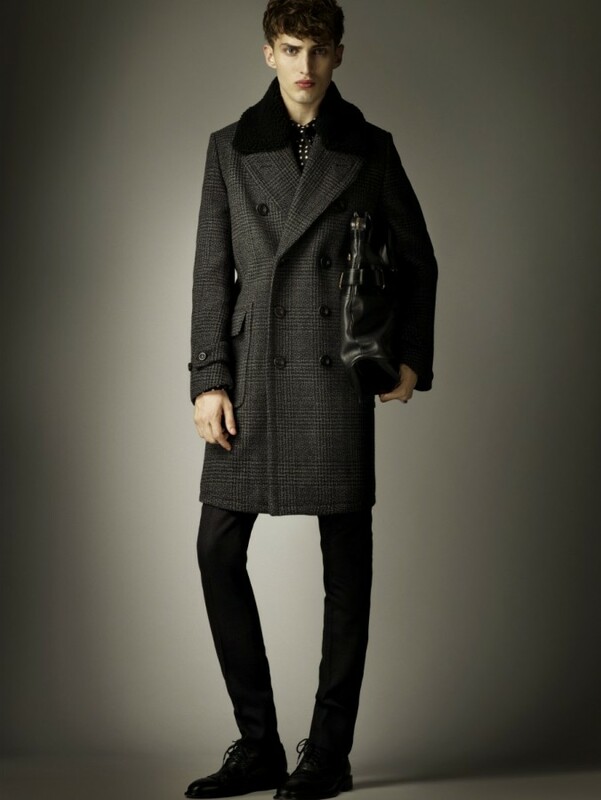 Glamorous touches such as shearling collars, a range of leather bags, cashmere knitwear, full length gowns, sartorial skinny fit suits, animal and floral prints, and tweed fabrics compliment what is expected to be another very popular collection.